Want To Be In Line? Aug 23 • Business, Technology • 815 Views • Comments Off on Want To Be In Line? There is an emerging phone and personal computer application that seems to be on its way to the top of the technological market today. Ever heard of Line? Yes, we got Viber and WeChat now, but this hit innovation also has its own unique features. Line was launched in Japan in 2011. In fact, it was launched due to the devastating Tohoku earthquake which challenged the efficiency of communication in the said country. The makers of Line realized that the damaged communication system really made life even harder after the tragedy; hence, they created this application which can be accessed by various smart phones, tablets and computers with no pay! 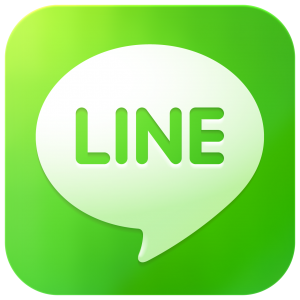 In fact, in 2011, Line encountered an overload of users. Many have already tried this application due to the convenience it can bring. This year, it has reached almost 200 million users nationwide. If you have gotten to know WeChat, Viber, and Skype, it is about time to say hi to Line—the app world’s latest mobile communication app. Check out some of Line’s amazing features! You can record and send video messages as well as voice messages, all for free. Sending these are as easy as sending text messages and emails. Along with free messaging is free voice calls, you do not need to worry if you have to make a long one, because it is possible with Line. Quality is also its promise. Games are part of this application as well. Line provides many kinds of games which you can keep you entertained as well as your friends. Yes, you can play with them and you can compete for high scores! Fun never stops because Line has signature stickers with over 250 kinds of emoticons. You are free to use whatever you choose to better express yourself in this digital conversation you are about to partake. You can connect with your friends and loved ones anytime and anywhere. Line can be accessed at home, at school or at the office with your personal desktop. Hence, other sectors like businesses are equipped with better information transfer because they can use Line together with their existing VoIP phone system, for instance the RingCentral VoIP provider, among many others. There are also Line-related applications that enhance one’s experience. You got Line Camera, Line Brush and Line Card. Line Camera lets you decorate your photos with stickers and various frames to choose from. 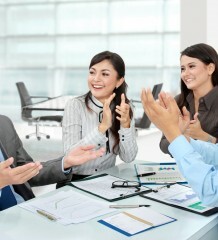 Furthermore, you can opt to share it with your friend using social networking sites, such as Twitter and Facebook. Line Brush gives you the power to express your artistic side. With many styles of brush to choose from, you can give life to photos and draw using your finger! While Line Card lets you choose from various cards available in Line, and include a personal message to someone who is celebrating his or her birthday or to someone who just graduated. Line serves its subscribers in the most creative and unique way possible. It can be accessed using Blackberry phones, Android, Windows Phone and iPhone. Operating systems that support Line include, iOS, Windows Phone, Android, Blackberry, Mac OS X and Microsoft Windows. So as we can see here, almost everyone can access this interesting application, not to mention the fact that it is available in over forty countries all over the world. Communication has been made even more effective and fun because of the likes of Line. Truly, our smart phones, tablets and personal desktops which are all made to simply text, call or send an email, seem to have been even more interactive due to such application.